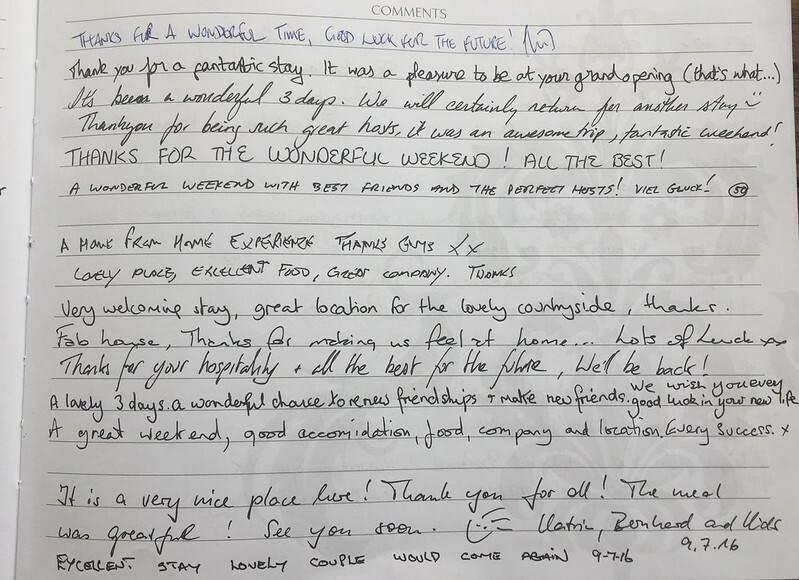 We’ve been delighted to get some great comments from guests since we opened – here’s a selection from booking.com, Tripadvisor and our Guestbook. 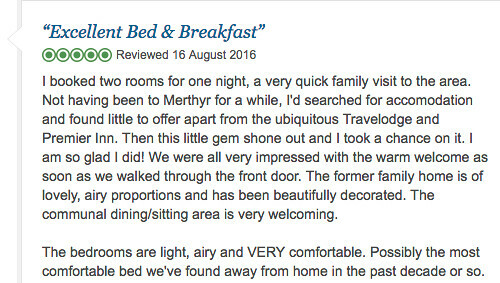 If you’ve got any feedback for us, we’d be delighted to hear it. 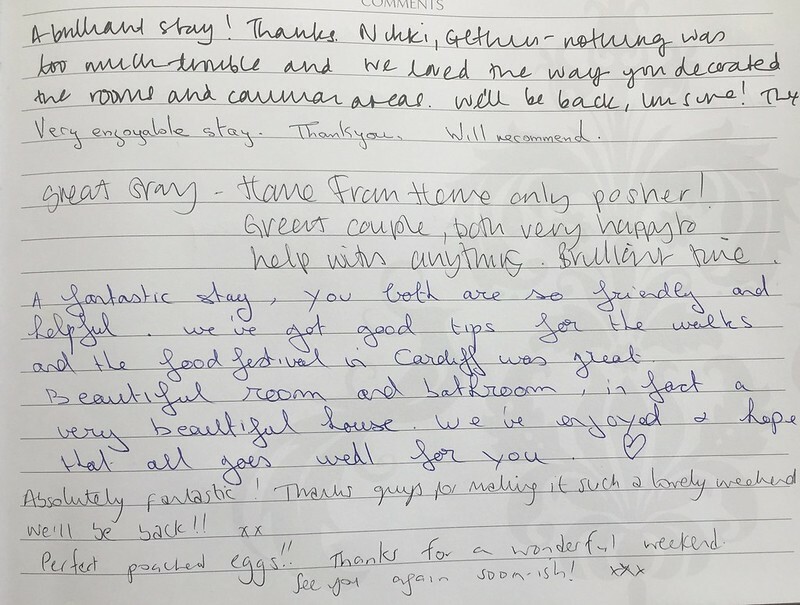 Good stuff is great but we’re always interested to hear about things we could do better – guest feedback has helped us to make lots of improvements since we opened. 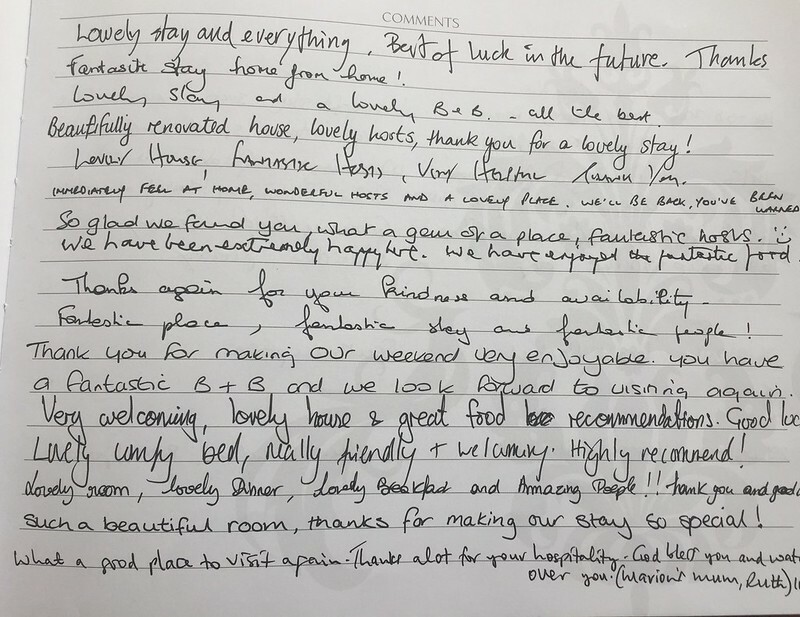 We’ve been very proud to receive Booking.com Guest Review Awards for 2016, 2017 & 2018 – averaging a 9.6/10 review score each year. You can find all of our booking.com reviews here. 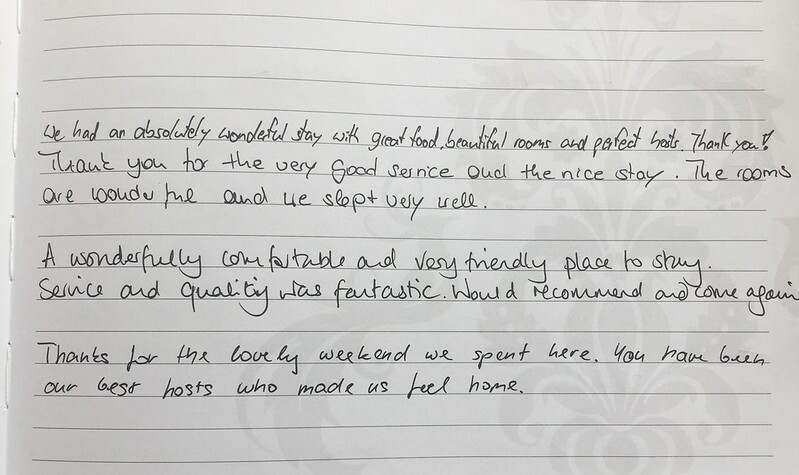 And a Trip Advisor Certificate of Excellence for 2018 for a 4.9/5 review average! Pssst! If the photos are scrolling too fast to read you can see them all here.